Beijing Motor is offering investors a glimpse under the bonnet of the Chinese auto industry. The carmaker part-owned by Germany’s Daimler is planning a Hong Kong listing it hopes will help it cash in on China’s expanding demand for new vehicles. But its profitability depends entirely on joint ventures with foreign groups. It’s a reminder that China’s car market has two speeds. The company, officially known as BAIC Motor, made 8 percent of the cars sold in China last year. But most of those are foreign brands manufactured in joint ventures with Daimler and Hyundai. The partnerships also prop up the Chinese group’s bottom line. Though it made an operating loss of 2.4 billion yuan ($387 millon) last year, its share of the two joint ventures brought in more than twice that amount. A restructuring completed last November will make BAIC Motor’s income statement look less lopsided. The Chinese company increased its share of the Daimler joint venture to 51 percent, allowing it to consolidate the unit in its financial statements. It’s easy to see why BAIC Motor and Daimler want to accelerate Mercedes production: more than half the German carmaker’s sales in China are currently heavily-taxed imports. Besides, luxury cars have so far escaped Beijing’s crackdown on ostentatious spending. Sales of premium sedans and SUVs grew an average of 38 percent annually from 2009 to 2013 according to All China Market Research, more than double the overall market rate. However, this growth is not yet feeding through into earnings. Net profit at the Beijing Benz joint venture last year was 1.5 billion yuan, less than half the 2011 figure. BAIC Motor’s biggest financial engine is its joint venture with Hyundai, which sold more than 1 million cars in the People’s Republic in 2013. The unit earned 10.8 billion yuan last year, up 58 percent in two years. As with other Chinese carmakers, the question is whether BAIC Motor can transplant the success of its joint ventures to its own brands, and whether the partnership structure is sustainable in the long term. In the meantime, the IPO serves as another reminder that when it comes to the Chinese car market, foreign brands are still in the fast lane. 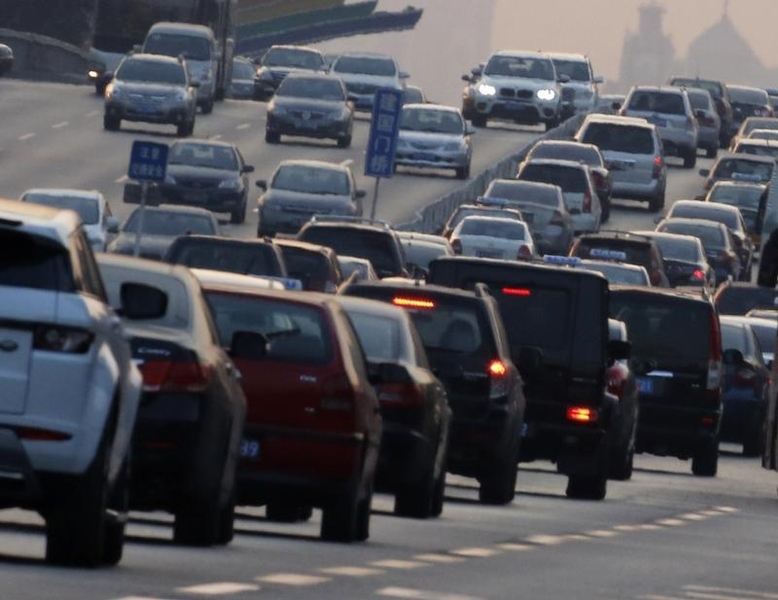 Traffic on a second ring road is seen in Beijing February 19, 2013. BAIC Motor on July 2 filed a draft prospectus with regulators to list on the Hong Kong stock exchange. The Chinese carmaker has hired HSBC, CITIC Securities International, Deutsche Bank and UBS to handle the offering. The passenger car unit of China’s Beijing Automotive Group plans to expand vehicle production at Beijing Benz, its joint venture with German carmaker Daimler, it said in the filing. BAIC Motor also has a joint venture with South Korean carmaker Hyundai, which sold more than 1 million cars in China in 2013. According to the filing, BAIC Motor reported revenue of 12.8 billion yuan in the year to December and a net profit of 3.0 billion yuan. The company reported an operating loss for the year of 2.4 billion yuan. However, its share of joint ventures contributed a profit of almost 6 billion yuan, up from 3.8 billion yuan in 2012. Last November, BAIC Motor increased its share of the joint venture with Daimler to 51 percent, allowing it to consolidate the unit’s results. Had BAIC Motor consolidated Beijing Benz from January 2013, the company would have reported revenue of 40 billion yuan and net profit of 3.4 billion.